Making salt dough is cheap and easy using everyday ingredients and salt dough is such an easy material to craft with. Salt dough crafts will last for years once sealed. 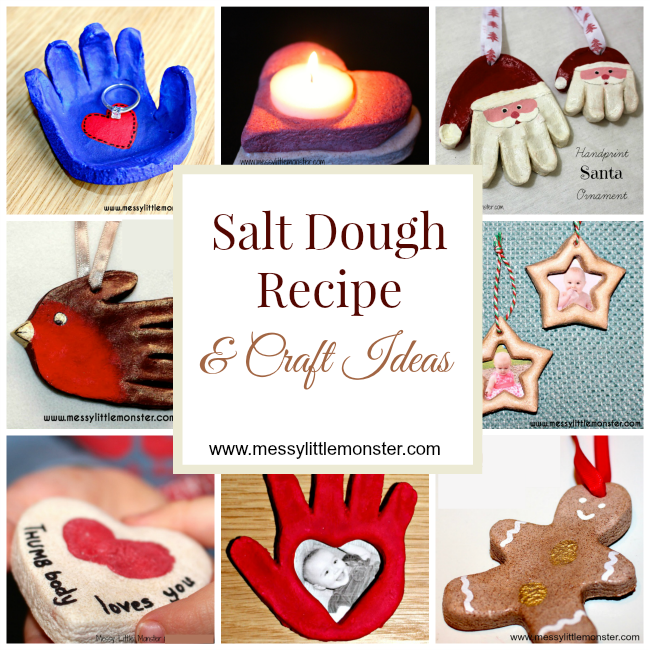 Take a look at our easy salt dough recipe and list of salt dough craft ideas for kids below. 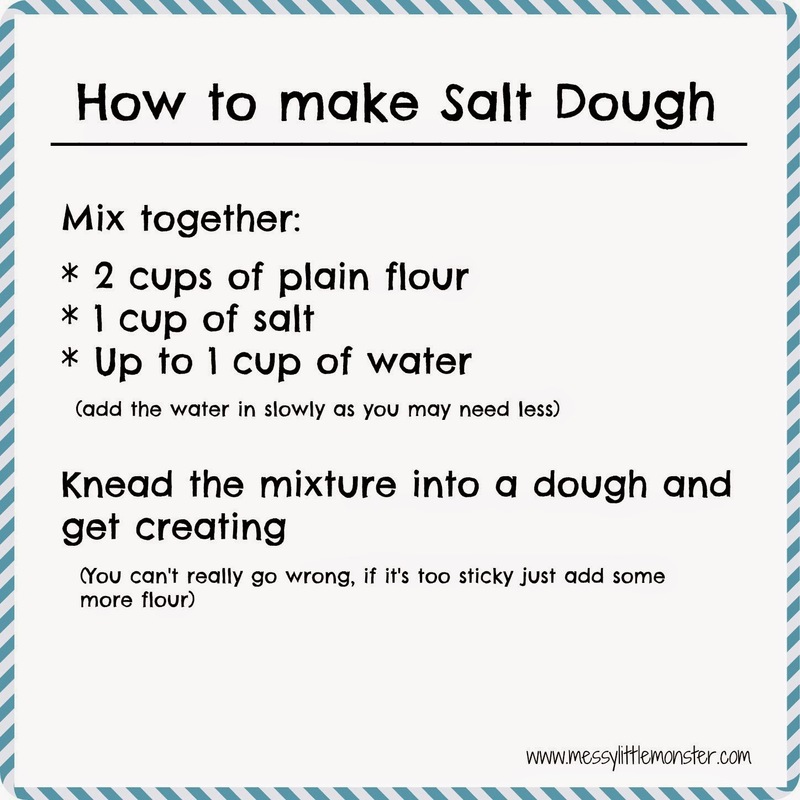 As well as adding step by step instructions for making our easy salt dough recipe we have added a few salt dough tips to help you make the best salt dough recipe ever! 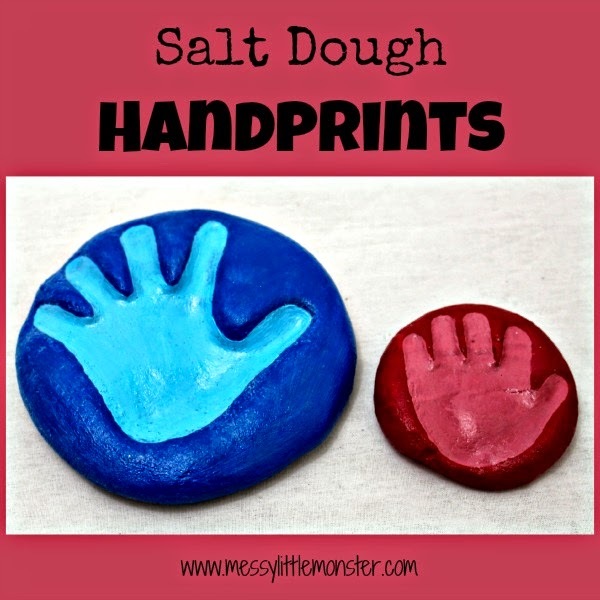 We have added a printable salt dough recipe for people that would prefer to have the salt dough recipe in front of them when making salt dough crafts. 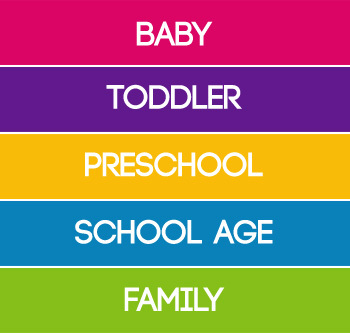 Scroll down to the bottom of the page to see images of all our salt dough craft ideas for kids. There are over 20 salt dough creations to brwose through. 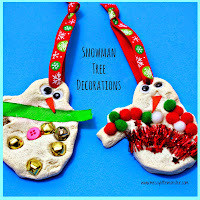 Click on the images or links for full instructions or take a look at our salt dough ornaments. Making salt dough is so easy! Just follow the 4 easy steps below to create the best salt dough recipe. Mix 2 cups of plain flour and 1 cup of salt together in a large bowl. Add 1 cup of water. Add it in slowly as you may need less. Knead the mixture into a dough. That's all there is to it! You can't really go wrong with this easy salt dough recipe. If the mixture is too sticky add more flour, if it is too dry add more water. We have added our best salt dough tips for colouring salt dough, drying out salt dough, sealing salt dough and storing salt dough below. You can colour salt dough before you make your salt dough crafts by adding paint, food colouring or natural spices to your salt dough mixture. Just add the colouring to the water before you mix it with the flour and salt. Click here for more information on coloured salt dough. (TIP: add lots of colouring as the salt dough will fade a little once dry). 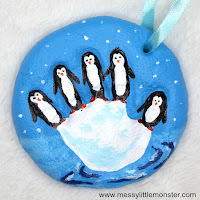 Alternatively you can wait for your salt dough creations to dry out and then paint them using acrylic paint. The best way to dry out salt dough is to put it in the oven at a low temperature. Ovens do vary, but I turn the oven to 100 degree (celsius) to avoid any burning or the salt dough puffing up. Your salt dough crafts will take several hours to dry out depending on their thickness. Thicker salt dough models may take longer. 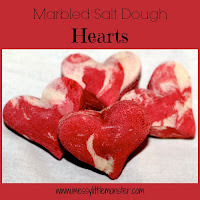 Turning your salt dough crafts over every now and again can speed up the drying process. If you don't have time to wait to dry your salt dough creations in the oven you can dry them out in the microwave. Put your salt dough craft on a microwave safe plate and then zap your salt dough craft for 10 seconds at a time. It really won't take long at all! Alternatively salt dough can be dried by leaving it out in a warm room, but this will take several days. 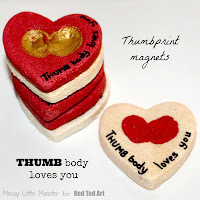 This would work well if you have made a lot of salt dough crafts with a large group of children. You must seal salt dough (on the front and back) if you want your salt dough craft to last. Sealing salt dough might seem like an added unnecessary step, but without it moisture will be able to get into your salt dough craft and ruin it! We use Mod Podge all in one sealer glue and finish to varnish and preserve our salt dough. You can also use a spray sealer. Once sealed your salt dough creations should last for years. Your salt dough craft must be kept in a warm, dry room. If any moisture gets into the salt dough it will go soggy and be ruined. If you have made salt dough ornaments that you want to store away for part of the year ensure that they are kept in an air tight box to avoid any moisture getting into them. Wrapping your creations in white kitchen roll or tissue paper will also help to protect them. KEEP SALT DOUGH AWAY FROM DOGS AS IT IS DANGEROUS FOR DOGS IF EATEN. 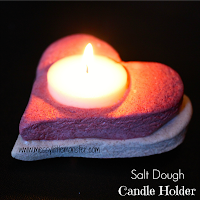 Take a look at our collection of salt dough crafts below. 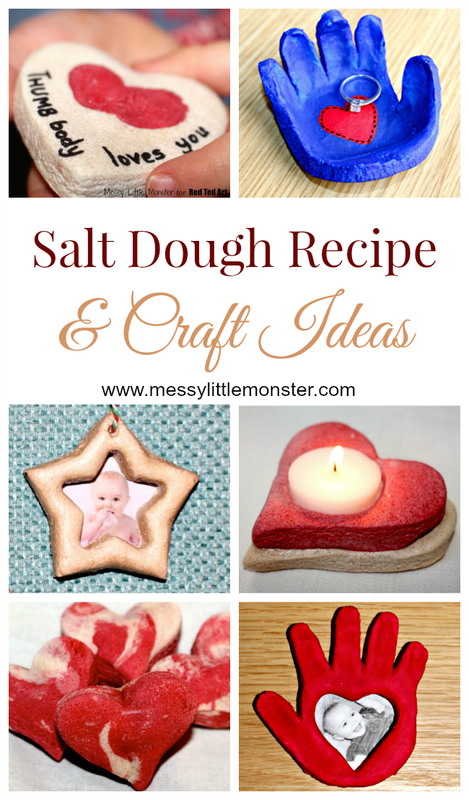 All of these salt dough crafts can be made using the easy salt dough recipe above. 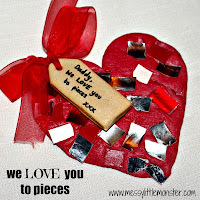 You might also like our DIY keepsake craft ideas. We have made a huge collection of salt dough ornaments over the years. 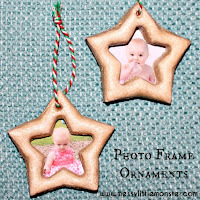 I love the salt dough photo frame ornament at the top of the list below as you can add a photogragh to personalise your salt dough ornaments. 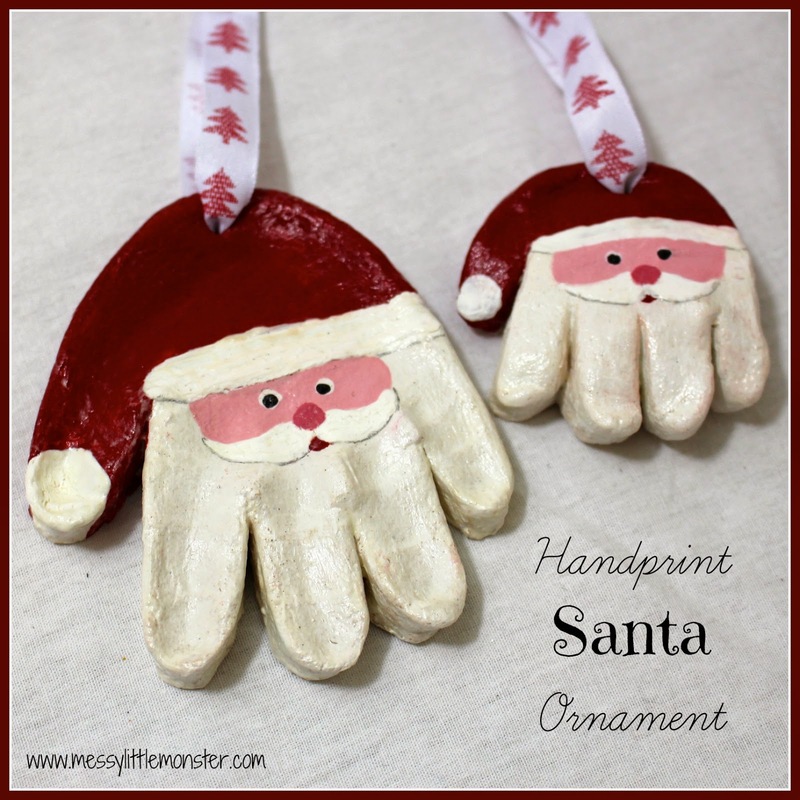 The santa salt dough handprint ornaments are another of my favourites and I look forward to bringing them out to decorate the Christmas tree each year. 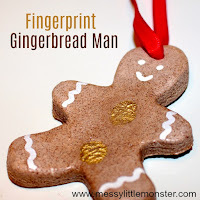 Our fingerprint salt dough Christmas tree ornament has been popular over the years. 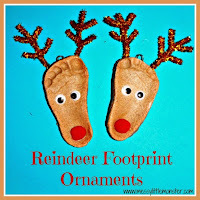 It is really easy to make so it is a perfect salt dough ornament for toddlers or prechoolers if you want them to do most of the crafting independently. 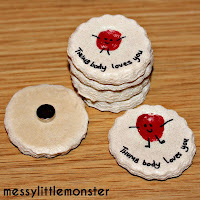 We love making salt dough gifts and keepsakes as they are always well recieved. All of these easy salt dough crafts can be made by or with children using the easy salt dough recipe above. The salt dough handprint bowl has to be a favourite of mine as 2 years later I still have it on my sideboard with my rings inside! 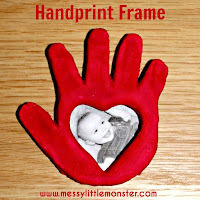 I actually love all the handprint salt dough crafts as it reminds me of how tiny the kids hands once were. 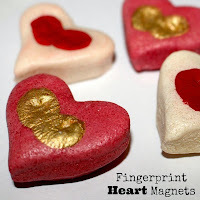 Making salt dough crafts is easy and creates some beautiful gifts and keepsakes, but we also have lots of other homemade gifts kids can make for you to browse through too. 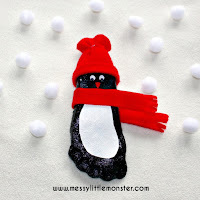 Salt dough crafts can be fun for toddlers and preschoolers to make and then play with. The salt dough currant buns that we made have lasted for years and are so much fun for singing the nursery rhyme '5 Currant Buns'. Making a whole set of salt dough food is next on our list. We hope that this printable salt dough recipe helps you to make the best salt dough crafts for kids! 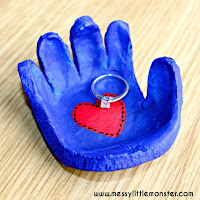 We have tried to include salt dough craft ideas for making salt dough creations with kids of all ages. Hopefully our salt dough tips and easy salt dough recipe will help you make the best salt dough recipe and salt dough crafts you have ever made! Unless the mice find them! How many handprints can you make out of 1 batch? This recipe yielded 6 hands and 3 feet ornaments? Any clear varnish would work (or even a layer of glue). Its just to stop moisture getting into the salt dough and ruining it. 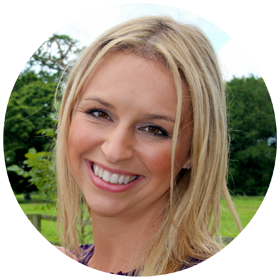 Am I adding warm or hot tap water or boiling water? Just cold water, it doesn't need to be warmed up. Do you seal before or after you paint the salt dough? 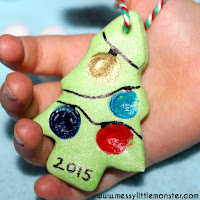 How many christmas tree ornaments does this salt dough recipe make? 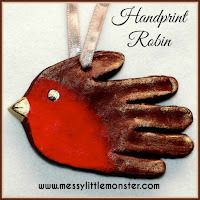 Can you use non-toxic paints like finger paints instead of acrylic?